Parents across the country read with great concern this week’s news about the extraordinarily high usage rate of anabolic steroids and other Appearance and Performance Enhancing Drugs (APEDs – such as HGH, dietary supplements, etc.) by America’s gay and bi teenage boys. The study in the journal Pediatrics revealed that about 21% of this segment of the population admits to using steroids. That is significantly higher than the usage rates of their counterparts in the heterosexual community. 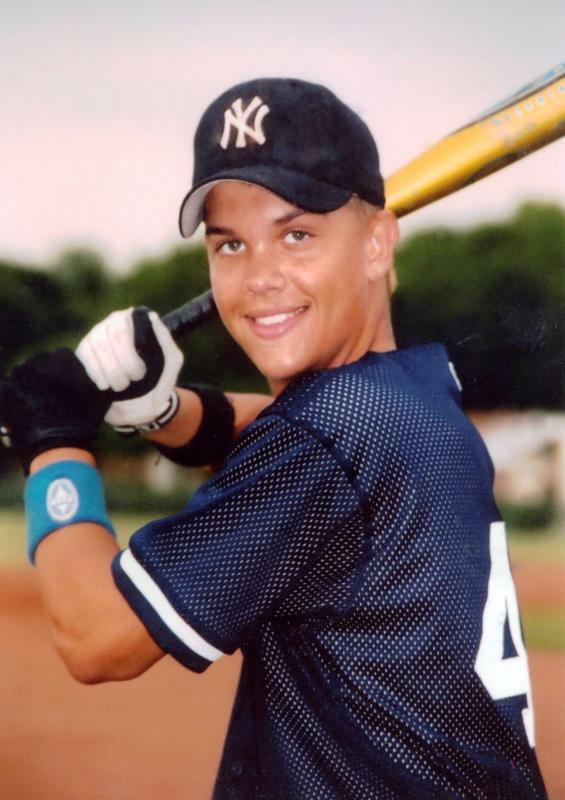 My son, Taylor, died after using anabolic steroids. A high school baseball player, this 6’2″, 180 lb. 16-year-old made the decision to use drugs after he was told that he needed to “get bigger” to make the varsity team. We later learned that half of his teammates were using steroids, so the peer pressure to resort to drugs made Taylor’s decision a relatively easy one. Parents still seem surprised to learn that APEDs can be very dangerous and shocked to learn how many youth are using them. We learned that steroid use goes way beyond the athletic fields and extends to boys and girls that are resorting to these drugs out of an obsessive desire to look better – to feel better about themselves. In fact, we believe that athletes now represent only half of today’s middle school and high school users. This should not be surprising. In today’s society the pressure to look good is overwhelming. It’s difficult enough for kids to be gay and fit in; add to that a desire to want to look good – since everything in society tells them that they have to have a perfect body – and it isn’t any wonder that the use of APEDs is on the rise. Based on recent studies, an estimated 1.5 million middle and high school students have admitted using anabolic steroids, which represents 5.9% of boys and 4.6% of girls. That means that there are as many as 25-45 students using steroids in the average high school in America. Stated differently, there is an average of about one (1) student using anabolic steroids in every high school classroom in America. We formed the non-profit Taylor Hooton Foundation to address this issue; to raise awareness about how widespread this drug use is and to educate people about how dangerous steroids and other APEDs can be. I am proud to say that our foundation is now widely recognized as America’s leader on this topic. Most young steroid users, straight or gay, have no concept of the dangers of the drugs they are taking. Many don’t realize these are illegal drugs – Schedule III Controlled Substances like Vicodin and Hydrocodone. And, most think that the anabolic steroids being sold in the gyms and over the Internet are “real” steroids that were developed in a pharmaceutical environment and somehow were diverted from a hospital or pharmacy. Nothing could be further from the truth. Virtually all of the “street” steroids that are sold in America originate in China. The raw materials are developed in filthy environments that are not suitable for making anything destined for consumption by animals, let alone human beings. And, they are easily available to our children via the Internet or from the guys that are working out in your local gym. These counterfeit steroids carry with them the same risks that the real steroids do: cardiovascular damage, liver problems, stunted growth, gynecomastia (boys grow breasts), testicular atrophy, psychological effects such as ‘roid rage and depression, and much, much more. Last year, we helped underwrite a national study to determine the knowledge level of the US adult population about this problem. The 2013 survey of households by researchers at the University of Massachusetts told us that adults are virtually oblivious to the fact that this problem even exists, with fewer than 20% percent of American adults seeing steroid usage as a big problem among high school students. Our mission at the Taylor Hooton Foundation is to educate America’s youth about the dangers of APEDs and to equip adult leaders to engage. We’ve delivered education programs to almost 700,000 people. We now offer eLearning programs that will enable us to reach millions more. To learn more about our Hoot’s Chalk Talk education programs, please watch this video (click here) and invite us into your community.